JERUSALEM -- Prime Minister Benjamin Netanyahu is suspected of crimes involving fraud, breach of trust and bribes in two corruption cases, Israeli police revealed Thursday. Police have been questioning Netanyahu for months over the cases but have released few details. A gag order was released Thursday night on reporting the details of talks that are underway to enlist a state witness. The document says the cases involving Netanyahu deal with "a suspicion of committing crimes of bribery, fraud and breach of trust." On Friday, police said Netanyahu's former chief of staff and onetime close confidant agreed to testify against him. The police said in a statement that Ari Harow will serve six months of community service and pay a fine of 700,000 Shekels (about $193,000) for his involvement in a separate corruption case, apparently a lighter-than-expected sentence in exchange for his testimony. Netanyahu's office has repeatedly denied wrongdoing over the investigations, portraying the accusations as a witch hunt against him and his family by a hostile media opposed to his hard-line political views. A statement from his office Thursday night said, "We completely reject the unfounded claims against the prime minister." It said the allegations are part of a campaign to "replace the government" and "there will be nothing, because there was nothing." In a video posted to Facebook Friday, he refered to the news as "the inevitable scandal of the week," according to the Reuters news agency. "I would like to tell you, citizens of Israel, that I do not heed background noises," he said. "I continue to work for you." One investigation, dubbed "File 1000," reportedly concerns claims that Netanyahu improperly accepted lavish gifts from wealthy supporters, including Australian billionaire James Packer and Hollywood producer Arnon Milchan. 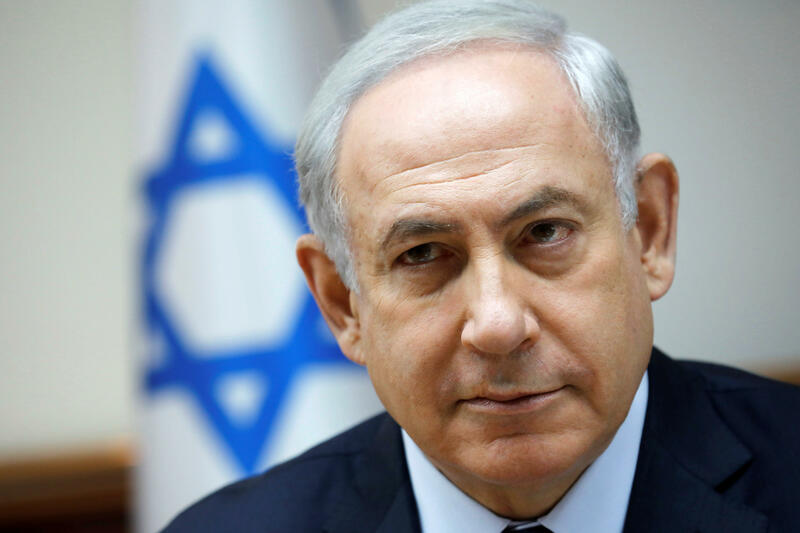 The second investigation, "File 2000," reportedly concerns Netanyahu's alleged attempts to strike a deal with publisher Arnon Mozes of the Yediot Ahronot newspaper group to promote legislation to weaken Yediot's main competitor in exchange for more favorable coverage of him by Yediot. The U.S.-born Harow has been under investigation for the past two years for fraud and other crimes regarding the sale of his consulting company while working as chief of staff, according to media reports. Police reportedly have a copy of a recording made by Harow of a 2014 conversation between Netanyahu and the publisher. After eight years in office, in addition to an earlier term in the 1990s, Netanyahu has garnered an image as a cigar-puffing, cognac-drinking socialite who is as comfortable rubbing shoulders with international celebrities as he is making deals in parliament. His wife, Sara, has been accused of abusive behavior toward staff. Scandals have long dogged the couple over their lavish tastes and opponents have portrayed both as being out of touch with the struggles of average Israelis.